In 2017, Schiess co-authored “Miles to Go: Bringing School Transportation into the 21st Century,” an analysis of school transportation on a national scale through the lenses of efficiency, education and environment. She and co-author Phillip Burgoyne-Allen found that half a million school buses transport 25 million passengers every weekday, in every state in the United States. But many of these vehicles have not been updated in a decade or more. While most of us rely heavily on GPS to get us where we’re going, the Bellwether report showed that only a third of school districts track their vehicles. And while many drivers are opting for electric cars, ride sharing and other ways to reduce transportation impact on the environment, only 6 percent of buses nationwide run on alternative fuels instead of diesel. So how much could a switch from industry-standard diesel to propane help? According to a study by the U.S. Department of Energy’s Argonne National Laboratory, five school bus fleets are successfully using propane school buses, saving some of the school districts nearly 50% on a cost per mile basis for fuel and maintenance relative to diesel, in addition to seeing a variety of other environmental and social benefits. And Verizon Connect says that GPS tracking is good for environmental accountability because it “optimizes routing and tracks engine idling to minimize your impact on the environment, trim pollutant emissions, and reduce[s] carbon footprint” for buses. In the Curbed piece, Schiess and colleagues suggest that states encourage innovation, like providing incentives and grants to transition to cleaner fuel (for instance, Florida’s system awards districts bonuses for achieving more transit efficiency). 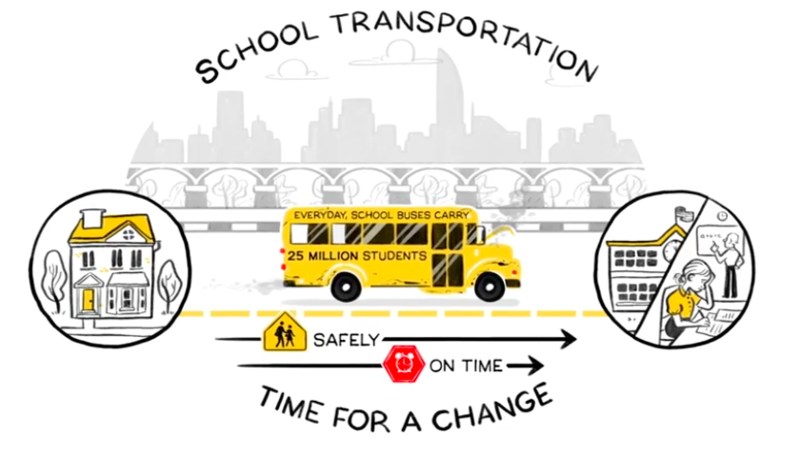 How is your local community taking steps to make your school transportation more efficient? Want more? Read the Curbed article by Patrick Sisson here, or the “Miles to Go” study here.